The proposed design achieves single polarization in fundamental mode using the rectangular photonic crystal fiber, having inner ring filled with 60% glucose solution in water. The proposed structure is composed of silica material having finite number of air holes in cladding. The proposed structure has very low confinement loss between the wavelength ranging from 1 to 1.8 μm and flat zero dispersion can be achieved within the wavelength ranging from 1.4 to 2 μm. 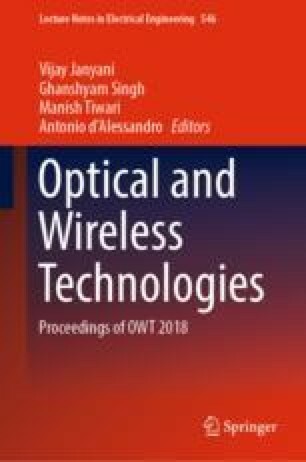 This rectangular photonic crystal fiber operating in single mode can be used where a wide operating bandwidth is required. Chromatic dispersion, confinement loss, and normalize frequency have been calculated for three different air fill fractions.